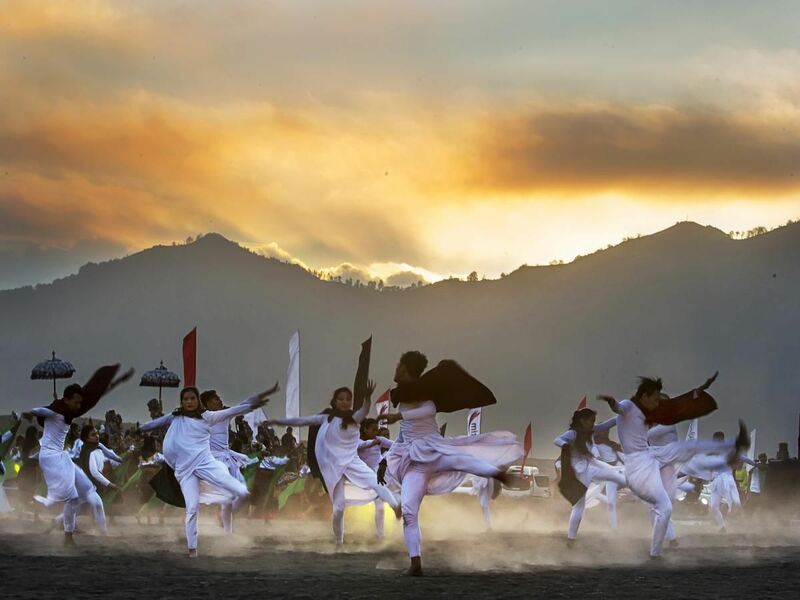 This event take place on July 13-17, 2019, Yadnya Kasada is a traditional ceremony for the Tenggerese people who live in the Mount Bromo area. Yadnya Kasada is held every full month in Kasada. Yadnya Kasada is an expression of gratitude and petition to Sang Hyang Widhi through a series of activities that begin with "mendhak tirta" (taking holy water). The event was ended by throwing offerings to the crater of Mount Bromo. To welcome the ritual, Eksotika Bromo is held which brings together Indonesian art summits which are presented in the sand sea of Mount Bromo.